Uber Faces $300,000 Fine, Court Case From Philadelphia Regulators : The Two-Way The ride-hailing service has served more than 1 million customers in Philadelphia, despite operating under disputed terms for nearly a year. 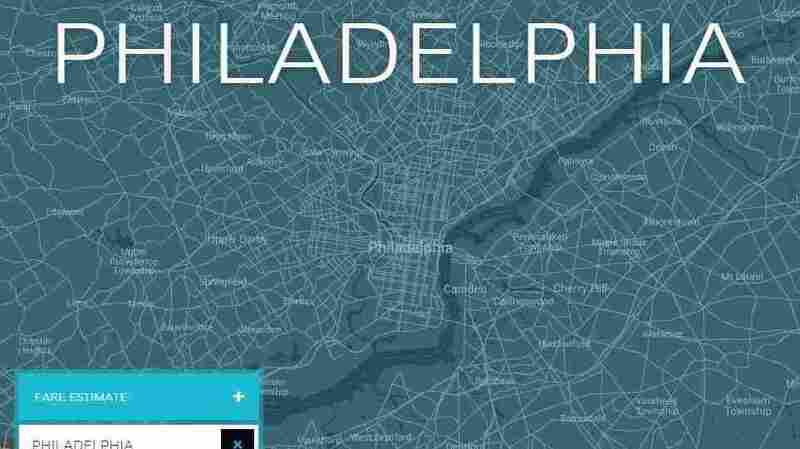 Despite being declared illegal in the city, Uber has been operating in Philadelphia for 10 months. The ride-hailing service Uber has served more than 1 million customers in Philadelphia, despite operating under disputed terms for nearly a year. Now the city's regulators are taking the company to court. Uber says it doesn't plan to stop operating in the city where it first launched service last October. Last November, Pennsylvania's Public Utility Commission went against the preliminary recommendation of two judges to grant Uber a two-year license in the state. Philadelphia's regulators didn't agree with that — and they've imposed a $1,000-a-day fine on Uber for operating in the city. "Vince Fenerty, who heads the Philadelphia Parking Authority, says the city has impounded dozens of Uber vehicles in undercover stings. "Uber says it plans to fight the $300,000 fine, which has accumulated since city officials have been trying to shut down the company for the past 10 months."